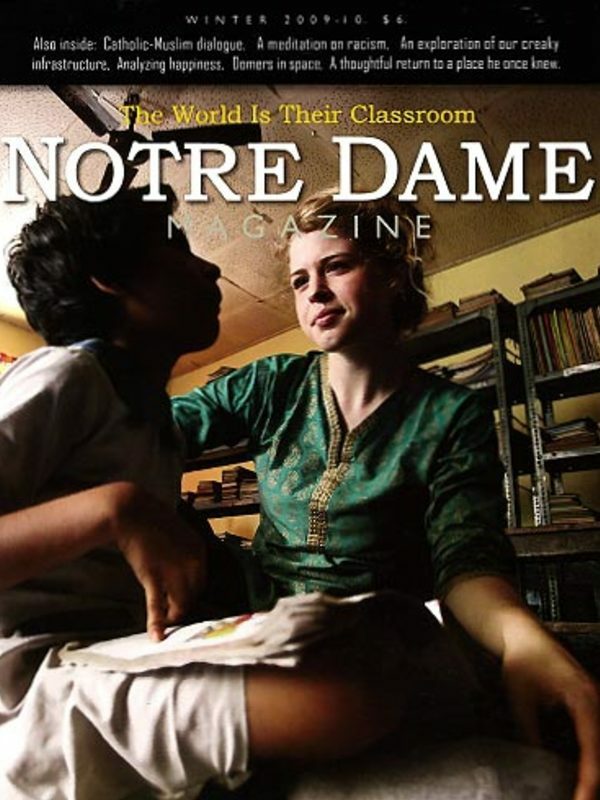 A Notre Dame education has always had its international exposures, but this generation of students is learning, leading and serving in some of the roughest spots on earth. The prejudices I knew as a boy shaped my soul and left lingering sensitivities I carry with me today. How distant is that past? If your best, most diligent efforts to be happy still aren’t working, maybe you’re just trying too hard. Get tomorrow’s civil engineers dreaming, and you may have the answer to our infrastructure problems. Tomorrow’s world may be shaped by Catholic-Muslim relations. It would help all of us to recognize the common ground instead of pointing across the divide. A family reunion always reminds us that some are closer to the hearth than others, but there’s still a place to come home to. Kevin Ford ’82 fulfilled his life’s dream when he was flung into space at 3,000 miles per hour and piloted the space shuttle Discovery on its mission to the International Space Station. Other Notre Dame graduates have traveled in space.